Hello, my name is DJVG. Born in the winter of ’91 in NL and busy with computers and electronics ever since. 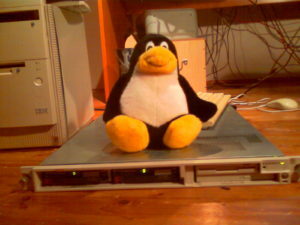 While I was born way too late for the real beginning of computers I enjoyed playing on my father’s 486, when I was about 10-ish I bought my own, old, computer on a flea market near my house, I guess this was the real start of my interest for computers. While a lot of friends were busy with playing games and homework I prefered understanding computers and was working on them day and night. When I went to high school I started to host the classes website (people could chat, upload pictures and read the school news). Not long after this I started to host MTA servers from home, I got a second internet connection and I have to thank my mom for allowing me to make all those changes to the house. 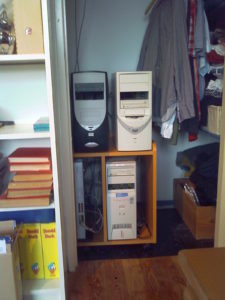 The router and web and MTA servers in my closet at my mom’s house. 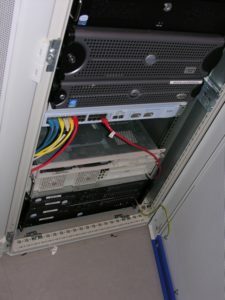 Not long after this I was in need of more bandwidth and bought my first server: Compaq DL360 G1 and put this in my first ever colocation rack in Easynet DC Schiphol Datacenter. After this things went fast, I started to host more and more websites and other services. 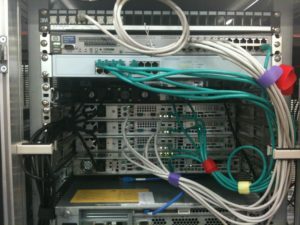 This was the moment I started VG Internet Services and put my second server in GlobalSwitch Amsterdam. 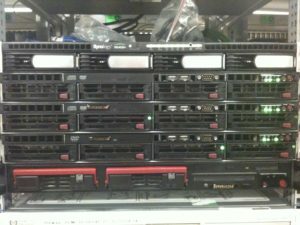 Hosting more and more websites I decided to expand and rented more space in the Interoute Schiphol datacenter.